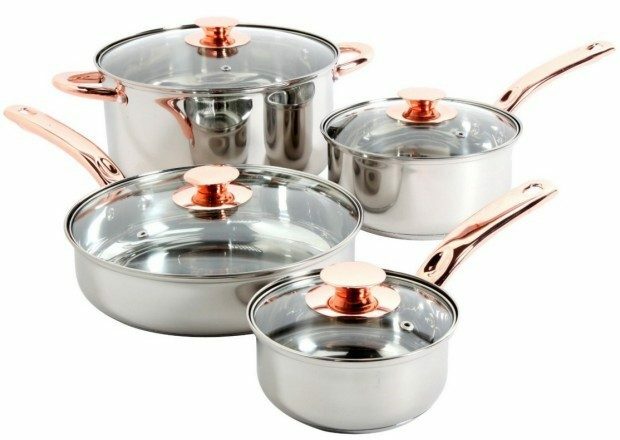 Sunbeam Stainless Steel Ansonville 8pc Cookware Set Just $29.65! Down From $50! You are here: Home / Great Deals / Amazon Deals / Sunbeam Stainless Steel Ansonville 8pc Cookware Set Just $29.65! Down From $50! You can get this Sunbeam Stainless Steel Ansonville 8-Piece Cookware Set for just $29.65 down from $50 on Amazon, right now! I love the colors on this set, it’s beautiful!